In the middle of October a mysterious hay rack for deer appeared in the heart of Prague on Wenceslas Square. Too early for Christmas, one might think. 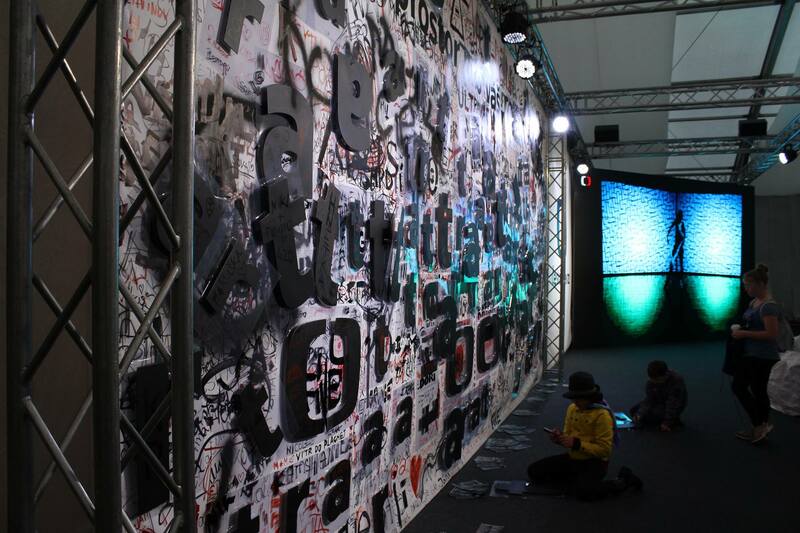 In fact, this art installation was created by architects Lenka Křemenová and David Maštálka from a1 architects and it symbolically marked the opening of the seventeenth Designblok festival – the biggest festival of design and fashion in Central Europe that was open for public on 22-27th of October. Altogether 253 art installations scatted in design-stores, galleries and pop-up shops all around Prague. For the first time the venue for the main events was located in The Industrial Palace Výstaviště Praha Holešovice that was transformed into a design hub. 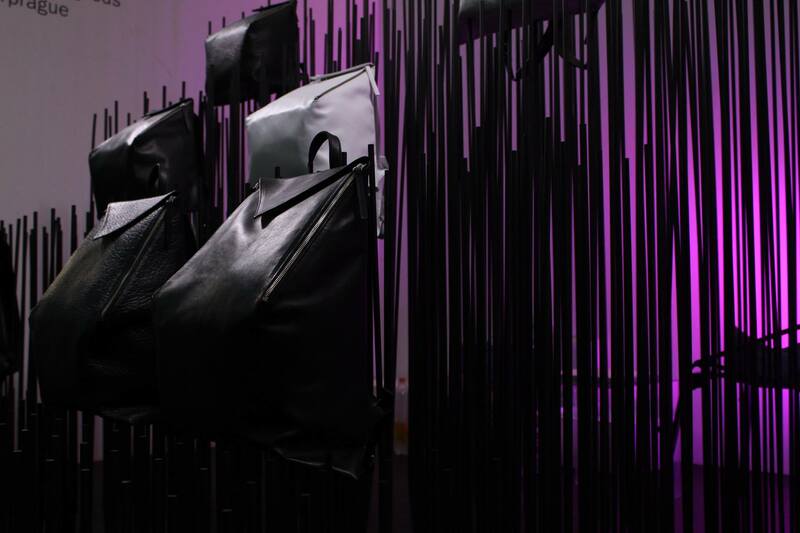 Within this immense art space prominent designers from Czech Republic and all around the world presented their furniture, lighting, interior accessories, clothing and jewelry. The main theme, which united designers’ works, was freedom. “Freedom constitutes an important part of our rights to quality of life,” explains the director of Designblok Jana Zielinski. “In the past it has been withheld from us, it has been misused, and yet we always longed for it”. Designers had an absolute freedom in interpreting this term and creatively approached the task – some presented pieces the visitors could touch, modify, paint and even construct new art objects themselves. 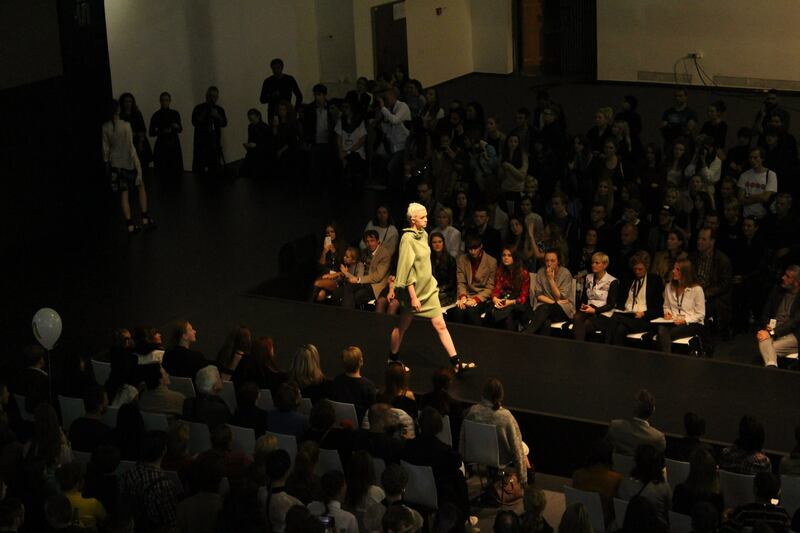 One of the most expected events of the festival was the Designblok fashion show that happened on Saturday 24. October. “Designblok Diploma Selection” is an international competition where 17 most talented young designers from 11 countries got a chance to present their collections on the SKODA runway. Designers’ unique pieces of clothing and accessories astonished the audience. It was noticeable that some designers found the inspiration for their collection in the traditional motives of their home country; whereas some decided to play with forms and colors and created abstract, unusual, and extraordinary looks. Kambui Olujimi, a New-York artist and a photographer, said that he was surprised by some of the outfits presented on the show. Some of them he described as shapeless and plain and others were very innovative, vivid, fresh, and appealing to the viewer’s eye. The fashion show was only one of the events that were organized by Skoda Design Runway that presented a live program with film screenings, live music, and contemporary circus show during the whole festival.